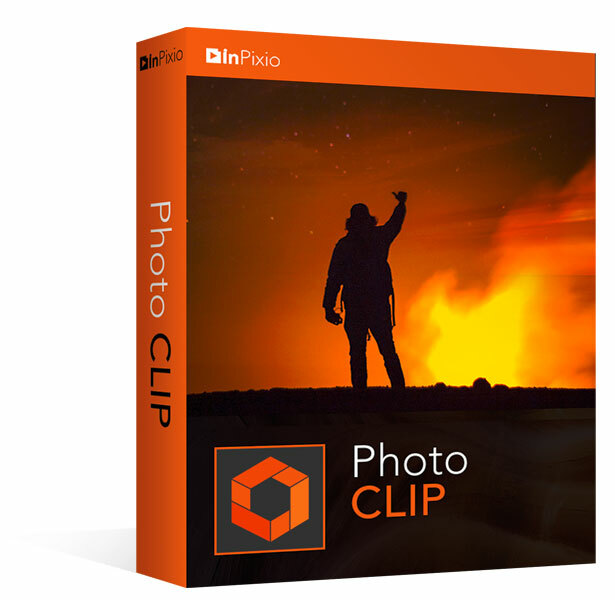 inPixio Photo Clip 9 - Photo editing has never been easier! 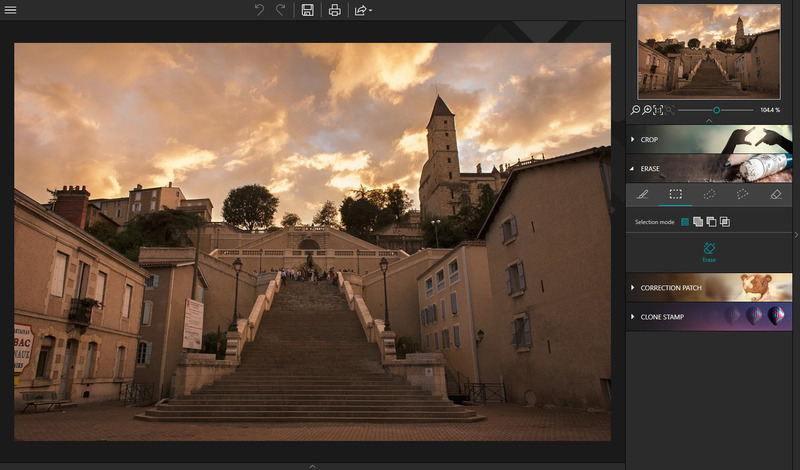 Photo editing has never been easier! 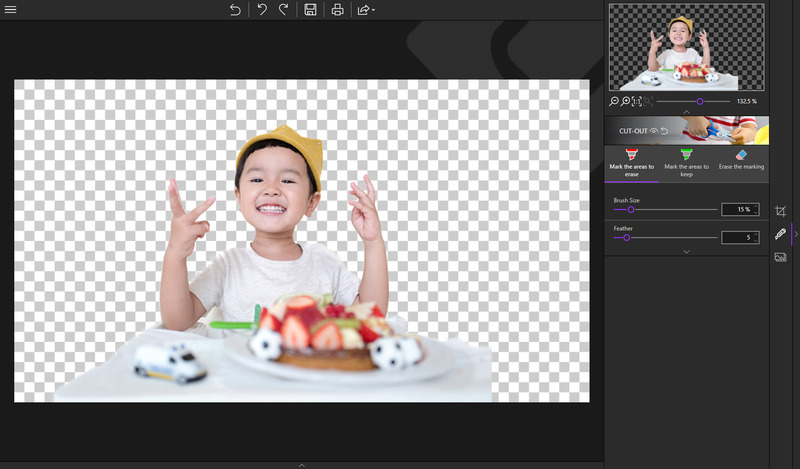 inPixio Photo Clip 9 is a software program for editing and improving your photos. 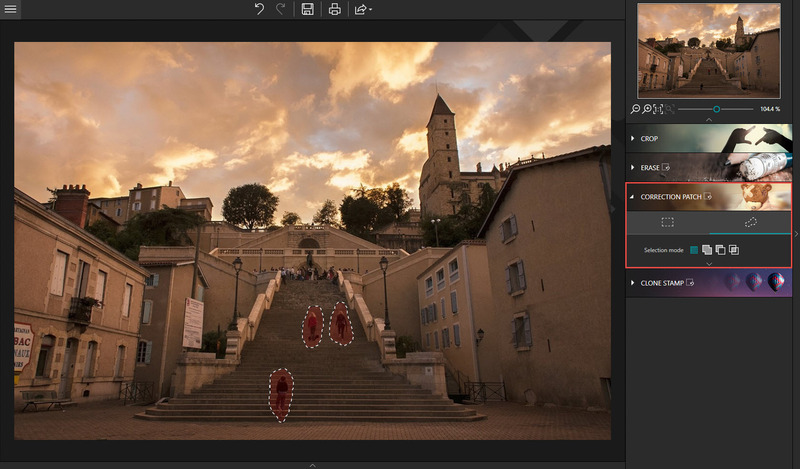 It allows you to perfectly cut out objects or people in your photos with ease! With the erase tool you can also remove unwanted features in the landscape and correct defects in a few clicks. You can produce creative montages too thanks to the many backgrounds available. To help you get started with Photo Clip, new information bubbles have been added for each feature of the software program. Just hover over a module to see a demonstration of what you can do. The erase slider features automatic detection of colour contrasts, assisting you at any point in your path. inPixio Photo Clip allows you to erase an object just like an eraser, simply by highlighting the unwanted parts of the image, and reconstructs the structures of the background. Correct any residual imperfections with the cloning stamp. It only takes a few clicks to improve your photo! Use the cloning stamp to perfect your editing or to clone contrasting features. Existing objects can be redrawn on the screen with the cloning stamp. Repeat this process as often as you like to create amazing double effects! 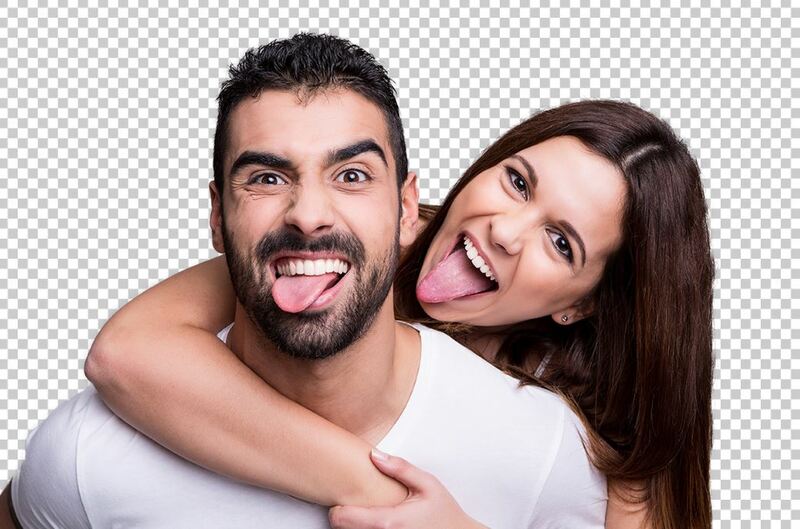 This new, super fast correction tool allows you to get rid of imperfections, fill in or clone part of the image with just one flick of the mouse. It makes it easier to touch up areas that are hard to “reconstruct”. It can remove or add elements, even in areas that are very difficult to rebuild (steps, shading in the sky, etc.). Also use the patch to retouch portraits. Eliminate minor imperfections and make wrinkles less visible, like the glossy magazines do! 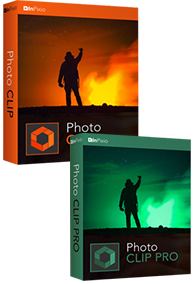 With inPixio Photo Clip, your digital scissors, cut out any detail, individual, object or even landscape in your photos. Select the outline of the person using the slider or the background to erase, and the Photo Clip algorithm then runs automatically! Conversely, you can use the "keep" slider for important features to make sure your cut-out is perfect. Even hair, drops of water and the finest details are removed from the background down to the nearest pixel. Then put the cut objects on the available backgrounds to make photomontages or collages in an instant! 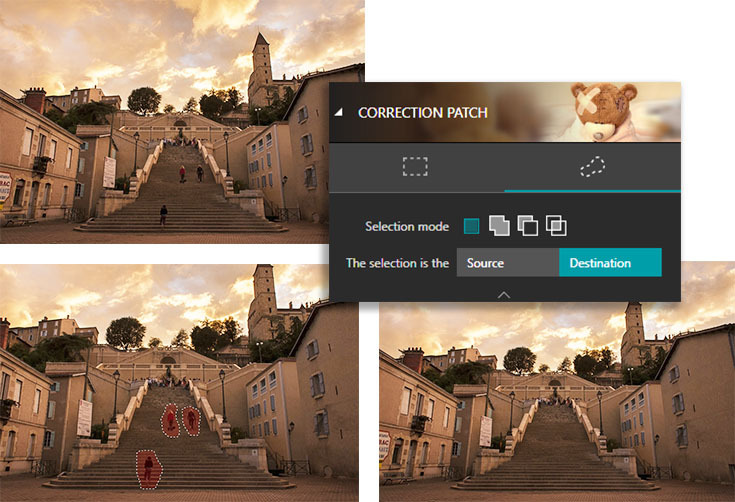 Just select your background pattern from the new original images, or download your own images for unique photomontages. New backgrounds are available in version 9 and plain backgrounds of each colour have been added. You can now import multiple photos in a single edit for spectacular and unexpected results. Also find over 100 stickers and text templates to add style to your photos and photomontages. 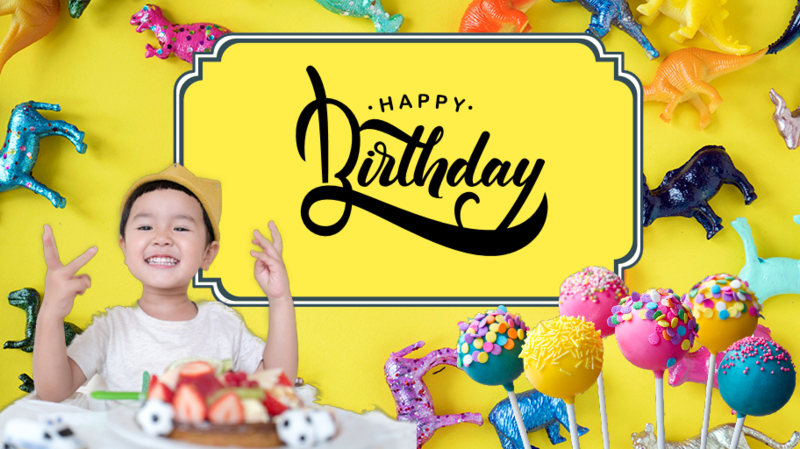 Original content for every special occasion (birthdays, greetings, invitations, etc.). 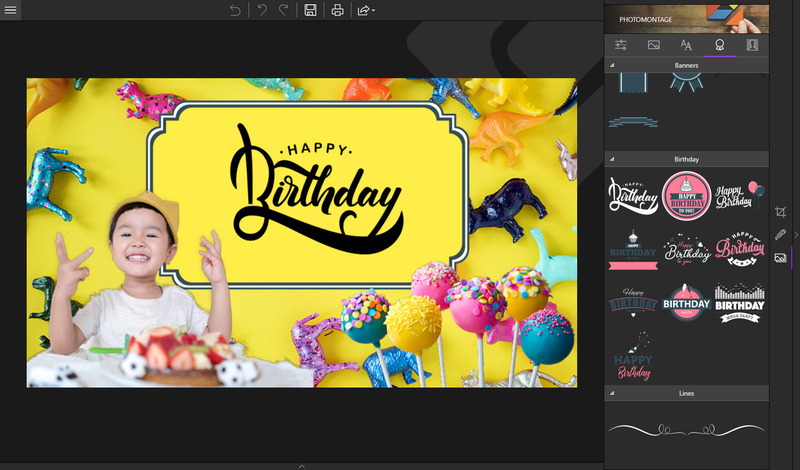 To get the most out of Photo Clip 9's features, mini videos have been added to each of the software program's modules in the form of tooltips, making it easier and more effective to use. The old and new features of the program are explained in a fun and dynamic way. Simply hover over one of the features to reveal a demonstration of what you can do with it. Erase unwanted features: shadows, panels, watermarks, etc. Photo optimization: temperature, hue, clarity, contrast, shadow, luminosity, saturation, etc. inPixio Photo Clip 9 is available in 11 languages including English (US/UK), Danish, Dutch, French, German, Italian, Japanese, Norwegian, Portuguese, Spanish and Swedish.